Say hello to my workroom buddy, Olivia! I finally, finally finished her a few days back, having had her sitting on my desk for ages, waiting for me first to make up my mind as to what size eyes to give her and then to find the right size eyes in the rather paltry selection available here. 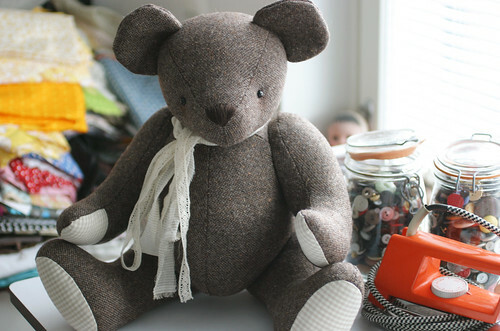 I made Olivia during a teddybear making course I took last autumn. This was the same sort of course -with the same teacher- as the one where I made Bluebeary, except this time the theme was great big teddybears. Once again, it was nice to be reminded how fun crafting with others can be, and how good it is to sometimes do something a little different from what you usually make. 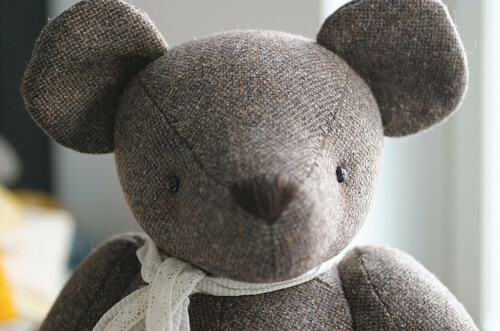 It's funny how much of a difference eyes make when making soft toys. 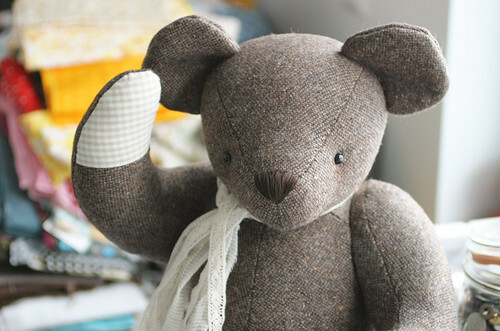 As I was working on this bear, I kept thinking it'll be a he and even had a name picked out and ready and everything, but then when I put in the eyes, it turns out that this is a girl bear after all! So there was nothing for it but to come up with a new name and give her a bit of blusher for her cheeks. 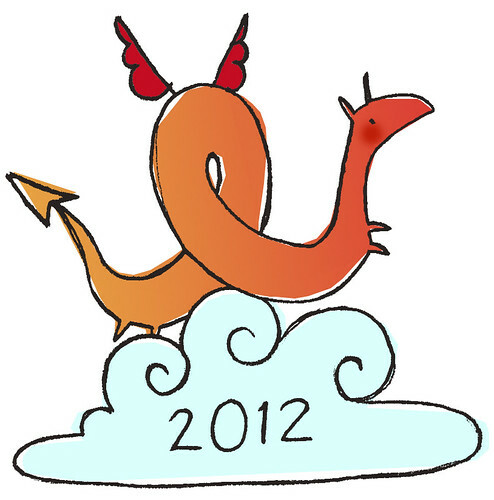 This year is the Year of the Dragon, which is marked by excitement, unpredictability, exhilaration and intensity. So we've certainly a thrilling time ahead of us! Now that the old year is over and it's the new year, and has been so for about 12 hours now, it's time to make a new Creativity Calendar, fill in my new calendar and marvel at a whole new year before me! I don't really make new year's resolutions, but I do hope this year will find me filled with creativity and that it will bring with it lots of wonderful new experiences. I wish you all a truly wonderful New Year! 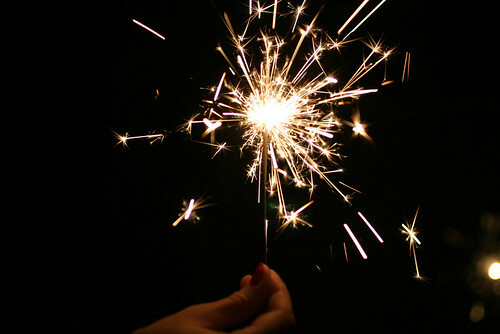 May 2012 be spectacular, sparkly and simply sublime!